All About Property Services - Builder, Painter/Decorator based in Crayford, Kent. 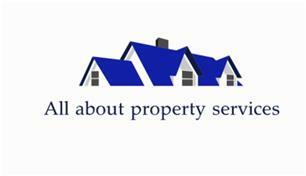 Welcome to All About Property Services. We know that a positive relationship with our customers is key to an all-round success. The most important thing to ourselves, is our customer satisfaction. We pride ourselves on our ability to meet our customers every need. From the smallest of jobs, to advice on a project, we will take the time to listen to all of your needs and requirements. If it is advice you are after, we have 50 years of experience between the two of us in building and construction. So from floor to roofs, we do it all! We pride ourselves in giving our customers peace of mind and maintain communication through all of our stages of work, to make sure your needs are truly met. This is why we rely on word of mouth as recommendation is our reputation.